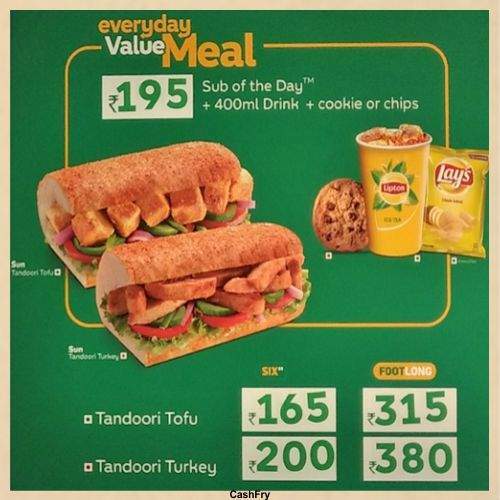 Find Subway Menu India with Prices. 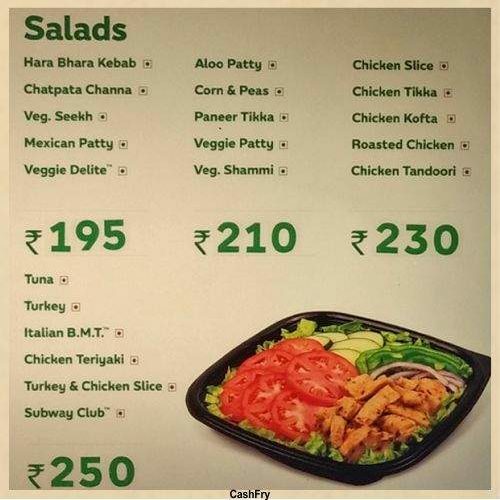 There are Subway Veg, Salad and Food Menu. 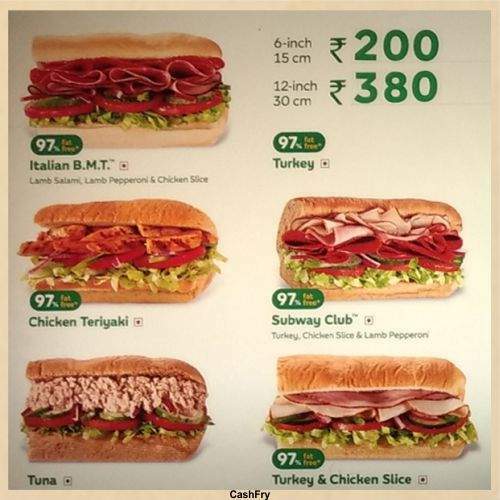 The different Subway restaurants in India have different prices. 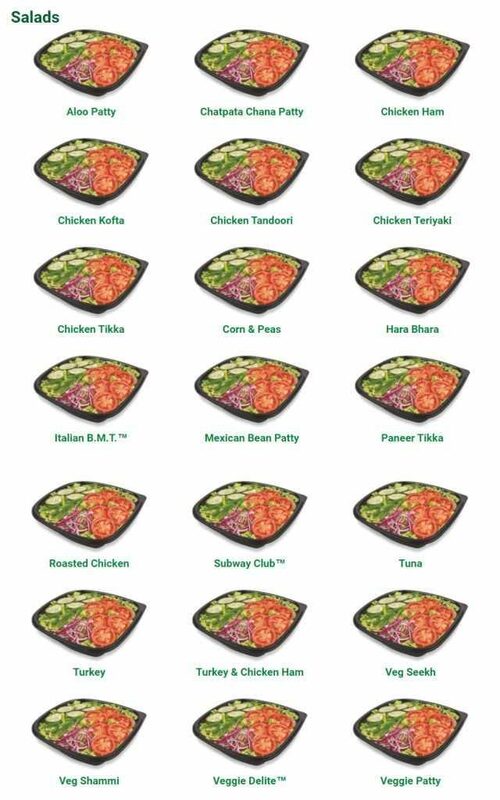 Subway is an American range of restaurants. 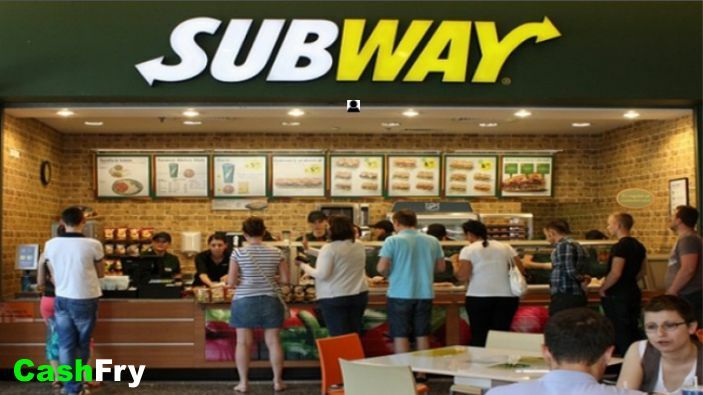 Subway is named because they started with Submarine Sandwiches. It was founded by Fred DeLuca. They have more than 45000 restaurants around the world. They have their presence in more than 100 countries. Out of 45000, about 25000 restaurants are in the USA only. Fred DeLuca borrowed US$ 1000 from a friend and started a small restaurant in 1965 for selling Submarine Sandwiches. 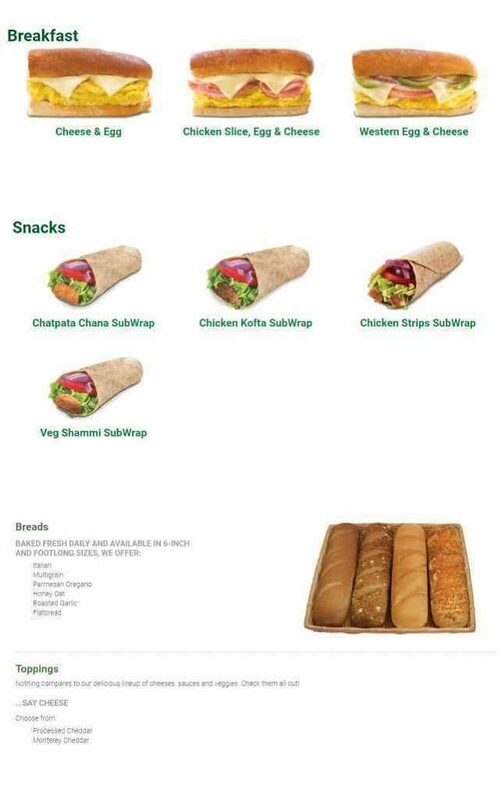 Today Subway is among the most trusted Quality Restaurant. 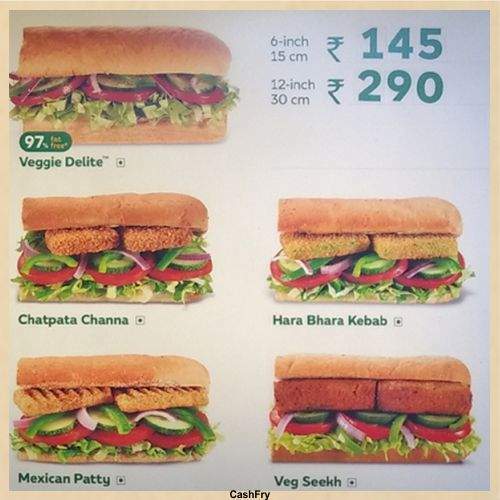 People prefer to go for Quality Food Hubs in the present time. 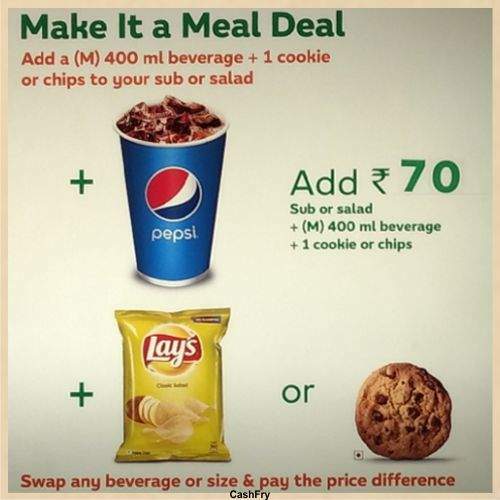 If you are staying near Sector 14, Gurgaon, please check out Subway Menu India with Prices Sector 14 Gurgaon. 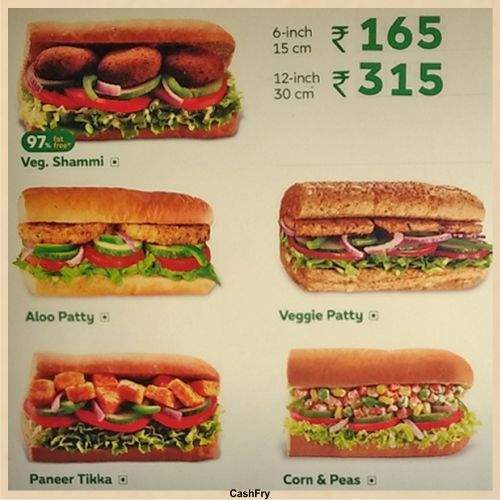 Vegetarian Subs include Veggie Delite, Veggie Paty, Paneer Tikka, Aloo Paty, etc. 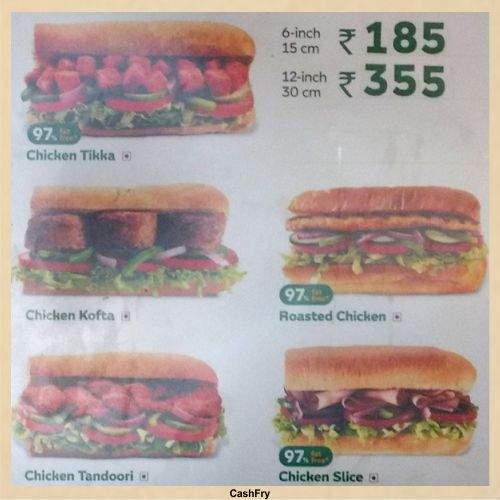 There are Local Subs which include Chicken Tikka, Chicken Seekh, Chicken Tandoori, etc. 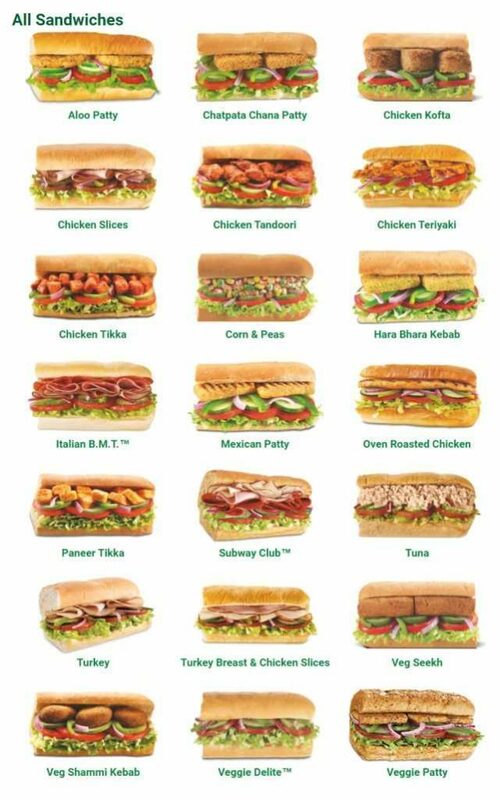 Other than the above there are Roasted Chicken, Tuna, Chicken Ham, Subway Club, etc. 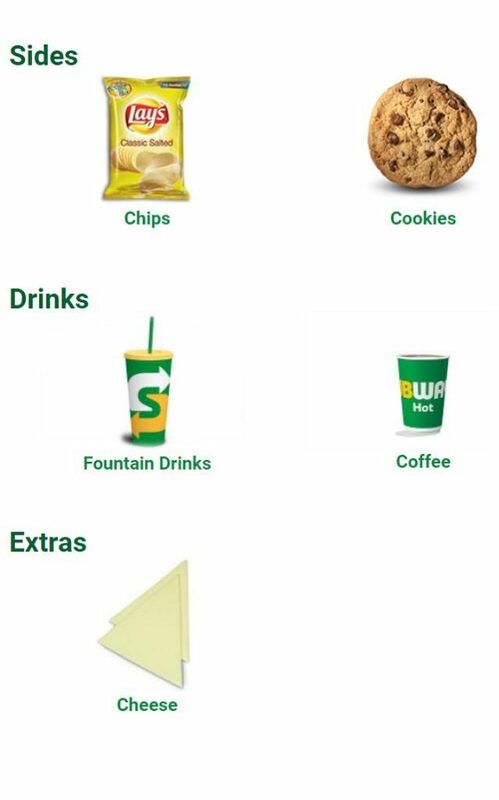 There are Traditional foods, Breakfast, Extras, Desserts, Chips, Drinks, and salads. 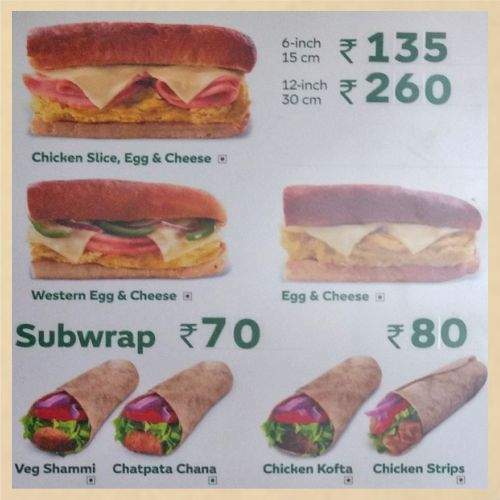 If you look at Swiggy Restaurants you can find out ‘Subways’ restaurant in your area. You can get Discounts and Cashbacks with Swiggy Coupon Code. People who are very hungry can place an order for ‘Swiggy Pop’.